Iyengar Yoga is a type of Hatha Yoga and its emphasis is placed on precision and alignment in all asana (poses). It is exactly this that allows the whole body –the muscles, organs, breath and mind to function at its best. Iyengar Yoga is not just stretching or physical exercise like running etc. It works the body physiologically and psychologically. Classical poses are done with props such as belts, bricks, chairs, blankets etc. if needed. The purpose of props is to help open the body, increase flexibility, stamina and help with alignment in the poses. At the same time the body can rejuvenate and relax. Some of the asana that are practised are inverted (upside down) poses such as shoulder stand, handstand, forearm balance and headstand. These poses have immeasurable benefits for the body and are an important part of practise. In Iyengar Yoga these are taught in a safe and systematic way. Do not fear those poses!! Yogacharya B.K.S. 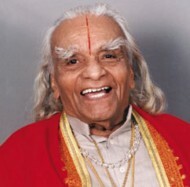 Iyengar is the founder of Iyengar Yoga. He is considered one of the foremost yoga teachers in the world and has been practising and teaching yoga for more than 75 years. He has made classical yoga approachable for the west. At 90 years of age he continous practising, researching and exploring the subject of yoga. Students from all over the world travel to his center in Puna, India and get advise and inspiration from this living master. Iyengar Yoga centres are located throughout the world and millions of students practise Iyengar Yoga. Emphasises correct anatomical alignment. Improve the health of your muscles, ligaments and joints. Accessible. Iyengar yoga is unique in its use of "props" to assist you in better and deeper stretching. These include blocks, straps, ropes, and pillows to support you in your yoga development. Certification. Iyengar instructors complete a rigorous certification in order to be able to teach Iyengar yoga. Designed specifically to promote health. B.K.S. targeted specific ailments as part of his development of the Iyengar yoga form, including high blood pressure, chronic neck pain, chronic back pain, depression and immunodeficiency.